...yet half the price of cables purchased from Apple. 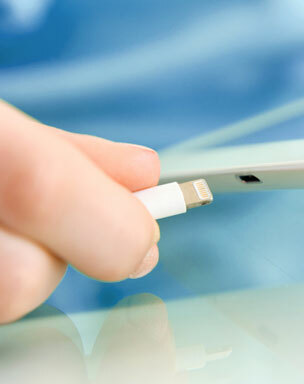 Safe, reliable AND affordable - that's the Apple-approved lightning-to-USB cable pack from Multicharge. Multicharge cables are Apple MFi compliant so you get peace of mind that they will charge and sync your devices safely and reliably. 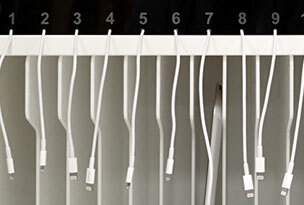 Designed specifically for the Apple iPad, Apple iPod and Apple iPhone, each cable measures 1 metre (3.28 ft) in length. Damage to your device's battery. Breaking your iPad, iPhone or iPod. Electric shock and serious injury. 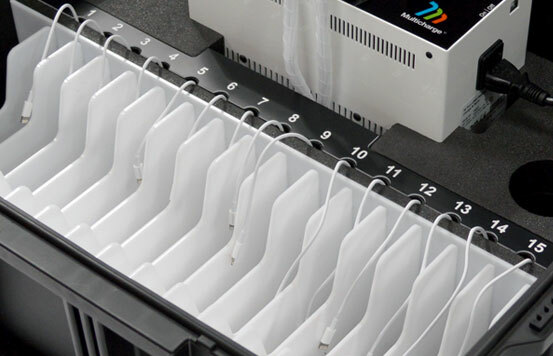 If you want reliable, affordable AND safe - stick with Multicharge. 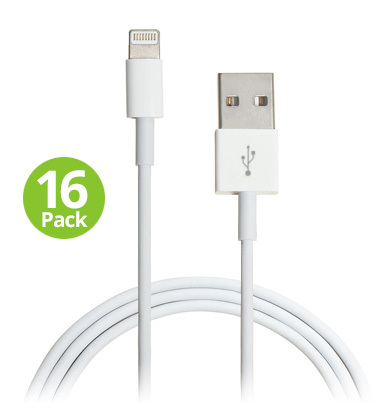 Purchase one of our Apple-approved, lightning-to-USB 16-cable packs at the same time as you purchase a Multicharge case, cabinet or trolley, and we will fit the cables for you, free of charge.